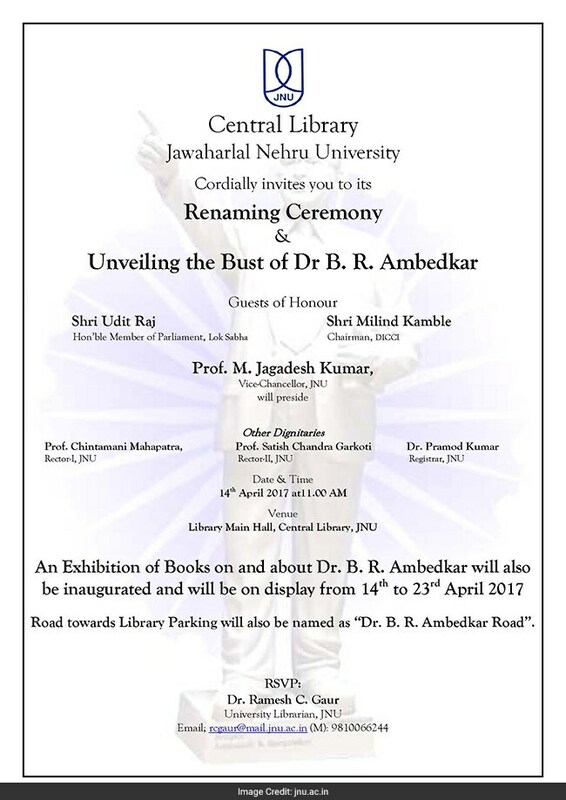 New Delhi: Central Library, Jawaharlal Nehru University (JNU) is organizing a renaming ceremony where a bust of Dr. B.R. Ambedkar will be unveiled. According to an official invite uploaded on the JNU official website, Shri Udit Raj, Member of Parliament, Lok Sabha, and Shri Milind Kamble, Chairman DICCI would be the Guests of Honor at the event. The event would be presided over by Prof. M. Jagadesh Kumar, Vice-Chancellor, JNU. The event will be organized in the Library Main Hall at 11:00 am today. At the event an exhibition of books on and about Dr. B.R. 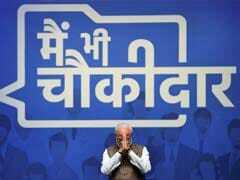 Ambedkar will also be inaugurated. The books will be on exhibition from April 14 to April 23, 2017. At the event the road leading up to the library parking would also be named as "Dr. B. R. Ambedkar Road". 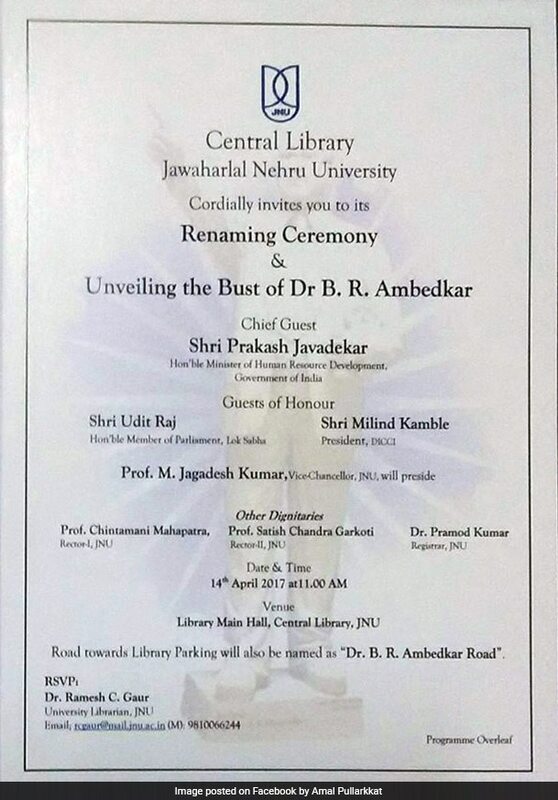 Earlier an image of the administration's invite uploaded by Amal Pullarkkat, a JNUSU member also had MHRD Minister Shri Prakash Javadekar listed as the Chief Guest. 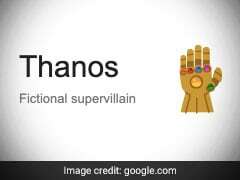 A copy of the same invite was also posted by Mohit K Pandey, JNUSU President. 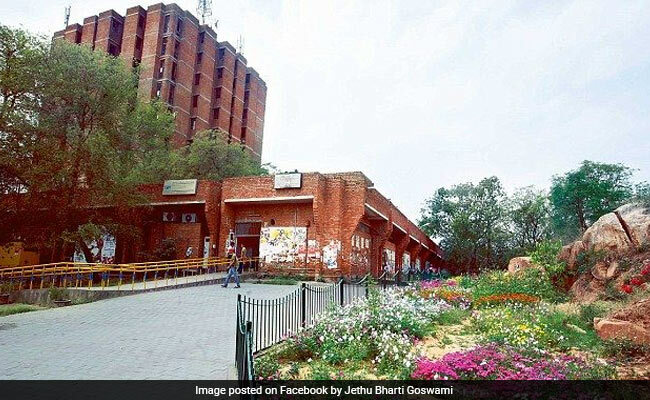 The image of the invite posted by JNUSU President and other members also called for the students of the varsity to turn up in large numbers to protest the recent seat cuts in research programs in JNU. 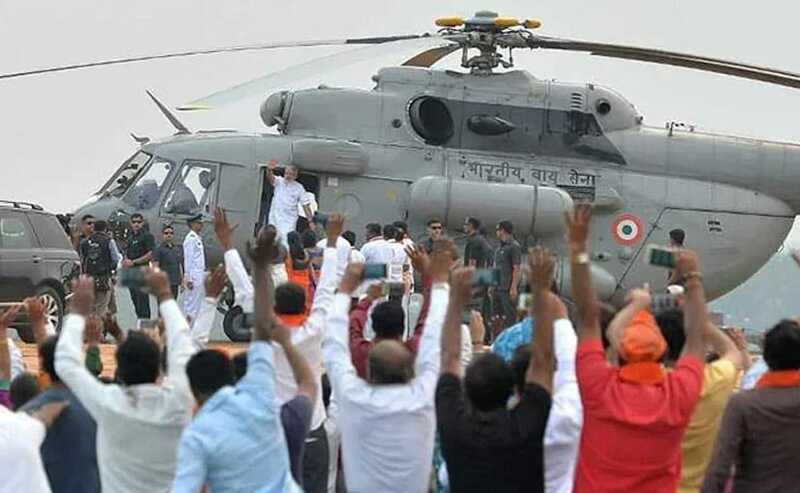 However, it seems that the Union Minister has cancelled his program to attend the event. JNUSU had earlier questioned the seat cuts and said that the new admission policy was unjust to students specially from underprivileged backgrounds as it had done away with the age old practice of awarding deprivation points to such students.